Customer (or audience) acquisition is the biggest challenge to all businesses no doubt, especially for small businesses. Growing a business is tough work especially marketing and sales. Sales in itself is very time consuming and the constant need to fill your funnel with fresh, qualified prospects can be stressful. This is where a referral comes in handy. Referrals are important especially for small businesses for many reasons. One, referral marketing can significantly reduce your expenses and simplify the sales cycle. With lesser time spent on cold calling prospects, you can focus your business on your current customers and their circle of influence. Word-of-mouth marketing is powerful and cost-effective. The cycle self-perpetuates with more satisfied customers referring others to your company. All you need is to provide impeccable customer experience wherein their satisfaction compels them to share their experience with others. Cirrena shares expert tips to help you get started on your referral marketing. It’s just about networking and influencer marketing, really. 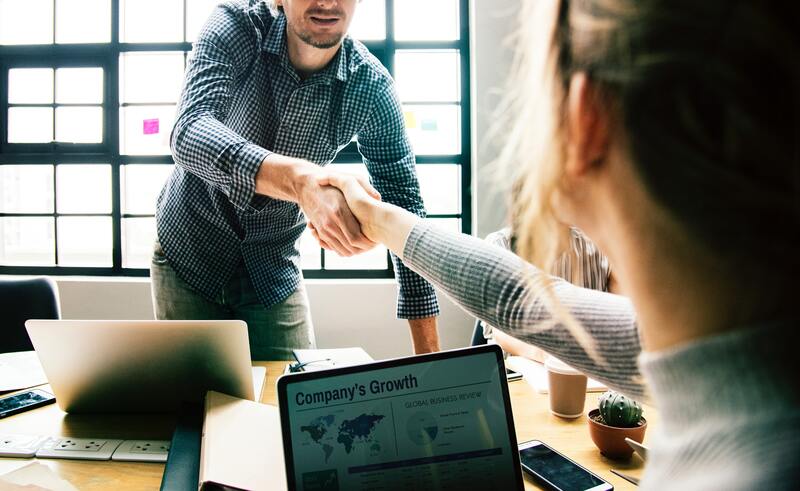 If you’re new to marketing, read our blog on the 7 ways to connect with your audience to give you an idea about referral marketing. It can be as simple as writing a “thank you” email after transactions, encouraging the use of suggestion boxes, exclusive customers-only-benefits email marketing campaigns, or launching a rewards program. Making your customers feel that you put their needs first can leave quite an impression. Just take a look at these companies for inspiration on why the best customer service can give you more customers through referrals. Don’t ask for referrals but rather ask for introductions. Asking for referrals right away from your customers is like skipping a few steps on the ladder. And this can also get confusing for the customers. Do you want a name? Do you want a number? Or an email address? Not to mention, some of them may be hesitant as we’ve all experienced how annoying it can get to receive a sales call. Rather, ask them for introductions to people in their network. This approach makes it more personal and sets a better mood for both parties. Commit to asking at least one introduction per day to keep your sales pipeline full. You can ask prospects, customers, friends, family, or basically anyone who can introduce you to someone in need of your services or products. If you commit to this goal, you can get 5 introductions weekly, which amounts to 250 introductions per year. That many introductions can definitely transform your business. Hosting an event may be a lot of work but its proven effective for attracting new clients. Choose a nice venue. You can start with these places in Perth, beautiful venues underline the exclusivity of the event. Invite high-level clients, prospects, and influencers from your target market. It’s also the best bait for an introduction from your current customers to their network. Ask them for referrals to people who may be interested in attending, and invite top clients to bring people from their network. Events are a great opportunity to meet new prospects, increase your value, and let clients do the selling for you as they share stories about their experience working with you to their network. We’ve highlighted a few techniques on referral marketing that will be helpful in every industry. But there are more niche-specific ways to get referrals that will depend on how well you know your industry. Research more about your industry to find unique opportunities in getting referrals. Cirrena can also help you reach your customers in the digital space. Don’t hesitate to ask!